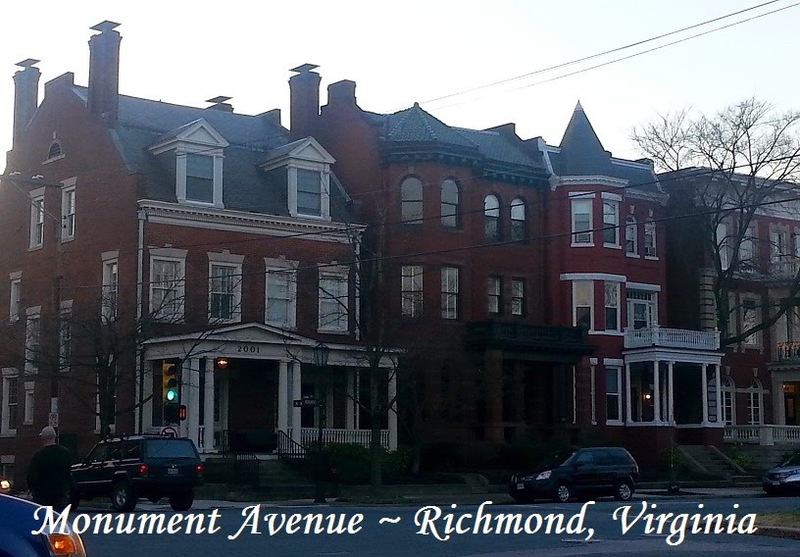 Richmond's Monument Avenue holds the distinction of being the only street on the U.S. National Register for Historic Landmarks and is named by the American Planning Association as among the 10 Great Streets in the country. It also happens to be one of my favorite streets in the whole world, even compared to some beautiful streets I've seen in Europe. The architecture of houses, churches, and organizations on Monument Avenue vary dramatically, ranging from Neoclassical, Georgian, Palatinate, Gothic, Colonial, and almost everything in between. In addition to the architecture, Monument Ave features several prominent statues, commemorating famous Virginians such as Stonewall Jackson, Robert E. Lee, and tennis legend Arthur Ashe. If you're ever in Richmond, take a drive down this beautiful road, or better yet, park your car and walk down the median to soak up the architecture and atmosphere. Have you visited Monument Avenue?